Slater Tools will unveil their comprehensive line-up of CNC broaching tools, toolholders and gages for complete machining and quality control over the full spectrum of shape making. 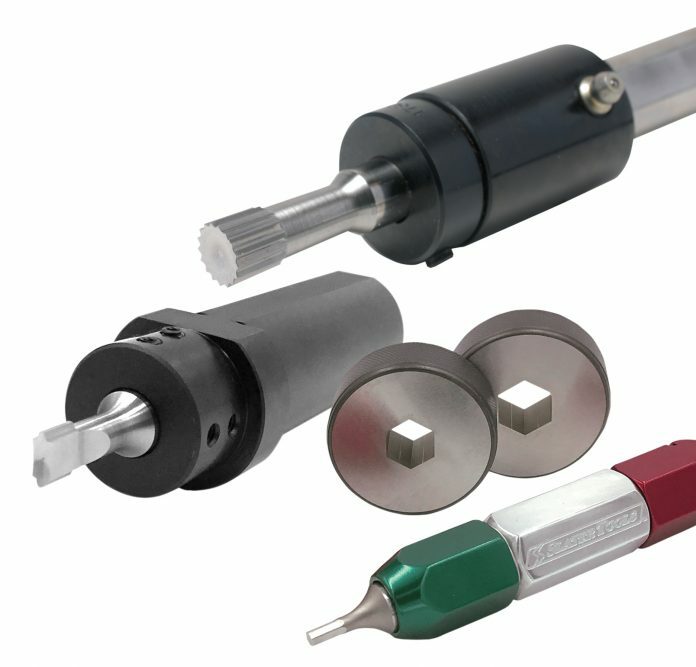 In total, the company’s Rotary Broach Tools and Toolholders, Punch Broach Tools and Toolholders, and Go/ No-Go Gages represent the most comprehensive product offering of its kind available. Rotary broaching is a highly-productive method for making hex, square, serration, spline and many other specific shapes in a variety of materials on CNC machines. Slater’s Rotary Broach Tools are designed and manufactured to precision tolerances in a full range of internal and external shapes and diameters as both standards and specials – where the company can turn around custom orders in as little as one day. Multiple series of external and internal Rotary Broaching Toolholders are offered, including adjustment-free versions, providing the needed connection between machine and tool that makes this operation so fast, economical and accurate. Punch broaching offers excellent performance in applications where rotary broaching may not be suitable. Such instances include tough materials, greater depth of operation and/or tooth height, chip evacuation challenges and operations that require orientation. It is also beneficial for applications requiring no witness (pre-drill) marks, with excessive material removal, or where timing the form to a feature on the part is required. Keyways, hexagons, Torx-style sixlobes, serrations, splines and squares are all machined by using partial form broach tools and indexing either the tool or the workpiece, which in turn greatly reduces cutting pressure. Indexable punch broach holders facilitate the process and provide high-repeatability on CNC lathes, milling machines and presses. “We have continued to add solutions for customers requiring products and support over such a broad range of (shape making) applications”, says Kris Renner, Slater Tools Director of Operations. “There has been a continuous stream of new and custom products, including tools and holders, and now the full range of inspection gages to meet all of their needs”, Renner continued. To ensure print tolerance compliance and eliminate process variations – such as form size, twist and tool wear – in popular shape making, Slater offers its line of standard and custom Go / No-Go gage sets for customer-specific applications. These gages are held to extremely tight tolerances, within .0002 inches (.005 mm), produced from oil hardened M2 high speed steel and can be custom made to any shape or size to fit customer needs. All plug and ring gages are offered for numerous shapes, either as full form composite, sector or progressive forms. Slater Tools also offers long form gage certification upon request for those applications and industries that require it. Slater Tools is the leading manufacturer of rotary and punch broaches and tool holders that ensure precision and save customers time and money with hex, square, spline, serration, and other custom-shaped applications. Additionally, the company manufactures all Go / No-Go Form Gages, a full range of screw machine tooling, and spring-loaded male / female live centers. All products are designed, engineered and manufactured in Clinton Township, Michigan using state-of-the-art equipment and advanced techniques to provide a continuous stream of standard and custom solutions. Industry’s best technical support is provided by Slater’s staff of application experts.